In the construction of houses, conventional lumber was the traditional form of building floors. However, this is a difficult process. Companies would need to find trees long enough to supply boards that fit their needs. This process not only cost more money for the company, it also resulted in the destruction of many, many trees. A new form of lumber, I-joists, have revolutionized the way that floors are made. accommodation . Shelterwood uses them because they are more structurally efficient and they are also environmentally friendly. 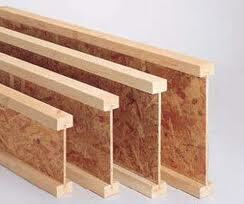 I-joists are an engineered form of lumber that is made to hold more weight. They are composed of two parts. The “flange” is the piece of wood that forms a barrier around the “web” of flat wood. The wood is composed of bits of excess wood that is combined into one long strip. This allows an I-joist to made at any length desired. 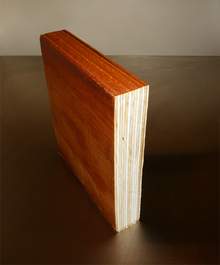 This type of wood bests conventional wood in practically every way. The I-joists do not bow, crown, twist, or split. They also prevent floors from squeaking since the wood keeps its position and shape. I-joists are supported by another type of engineered word called LVL, also known as “laminated veneer lumber.” This wood is made out of veneer, which is then put together to make a sheet of wood. The LVL keeps the I-joists in place and gives additional support for the floor. Like the I-joists, the LVL will not bow, crown, or split. The composition of the wood is much stronger than traditional lumber, and therefore can be relied on more. Using these types of engineered word is not only more efficient, but it is a great way to be more environmentally safe. This wood is literally made out of scraps of wood that are discarded from other projects. That prevents the need of cutting down more trees, which is exactly what the environment needs. Since the boards can be made to fit any length, less pieces of wood are necessary. That also lowers the need for more trees. It is perfectly clear that I-joists and “LVL” are the right choice for any construction company. The process works better, saves money, and protects trees. You can’t ask for much more than that.